It’s not just to honor April’s National Poetry Month that we quote Eliot. As we embark on a weekend of holidays, the start of Passover and Easter Sunday, it may seem cruel to focus on the problems with sugar as you are preparing your Seder desserts or Easter Baskets. Still, the science is sound that sugar is our diet’s worst foe. Yet the wisdom of “everything in moderation” still sticks, and our publishing reflects that. To accompany the research, we’ve selected books with delicious, low – or no – sugar recipes. Let the reading, mixing and stirring begin! With his signature command of both science and straight talk, Taubes delves into Americans’ history with sugar and explains what research has shown about our addiction to sweets. 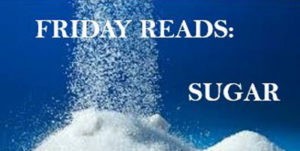 He clarifies the arguments against sugar, corrects misconceptions about the relationship between sugar and weight loss; and provides the perspective necessary to make informed decisions about sugar as individuals and as a society. The former White House pastry chef for Presidents George W. Bush and Barack Obama presents a healthy, delicious collection of dessert recipes including Kabocha Persimmon Pie, Matcha Green Tea Roll with Fresh Berries and Cream, Alfonso Mango Cake, Lemon Kaffir Semifreddo, and Coconut Chocolate Apricot Cookies. All are designed to bring diners to their bliss point more quickly, so they can have their cake…and eat it too. Complete with professional tips for ensuring that each confection is a treat for the eye as well, The Sweet Spot will have cooks thinking about dessert in a whole new way. By replacing empty calories with essential ones—swapping in whole foods and fiber and swapping out added sugars—you’ll conquer your cravings and prevent the blood sugar surge that leads to some of the worst health scourges in America today, including abdominal fat, diabetes, heart disease, cancer, liver disease, fatigue, and tooth decay. This is a sweet baking book with a difference—all of the recipes are free from harmful sugars. Not that you’d notice it, of course—the recipes are triple-tested and completely delicious! Caroline Griffiths has added natural sweetness using whole fruits and vegetables and, sometimes, other non-fructose sweeteners, including rice malt syrup, dextrose, and stevia. 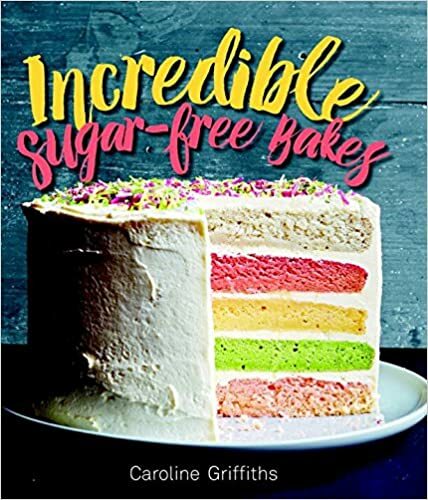 All of the recipes in this book contain less sugar than their traditional equivalent (many are completely sugar free)—while half the recipes are also gluten-free. The seventy simple-to-create recipes in the book show the diversity of sweet baking—from classic cookies to incredible baked desserts and show-stopping celebration cakes. A New York Times bestseller, I Quit Sugar is week-by-week guide to quitting sugar to lose weight; boost energy; and improve your mood, and overall health, with 108 sugar-free recipes.